AUSTIN, TX -- The Tejano Monument, a multi-statue monument honoring the contributions of Texas early Spanish-Mexican settlers and their descendants, was unveiled today on the south lawn of the Texas Capitol grounds before local and state community and legislative leaders, including Texas Governor Rick Perry, Lt. Governor David Dewhurst, and Texas Supreme Court Justice Eva Guzman. The unveiling marks a 12-year effort by Hispanic business, education, and community leaders to honor early Spanish and Mexican pioneers that are seldom mentioned in Texas history. The monument is the largest of its kind on any state capitol grounds in the U.S. and will be seen by the more than one million people who visit the Texas State Capitol each year. The history of the monument began in 2000, when a group of Tejano business, education, and community leaders formed Tejano Monument, Inc. and began formulating strategies on how to make the monument a reality. With support from state legislators, Representative Ismael "Kino" Flores and Senator Mario Gallegos, legislation was approved by the Texas legislature in 2001 and work began to raise the necessary funds to make it a reality. Over the years, other key state legislators joined the effort and included senators Judith Zaffirini, Leticia Van de Putte, and Juan "Chuy" Hinojosa, and representatives Richard Pena Raymond, Trey Martinez-Fischer and Ryan Guillen. The Tejano Monument board of directors and several committees were tasked with the job of raising awareness and funds to build the multi-million dollar monument and secured donations from a number of corporations and individuals to bring the monument to fruition. In addition to the unveiling ceremony, several events have been scheduled throughout the weekend to help commemorate the occasion and celebrate Tejano history. On Friday, March 30, a Tejano Monument Conference will be held at the State Capitol that is open to the public and involves 20 presentations on topics such as early colonial Texans and Tejanos in the 20th century. A Tejano Monument Parade is also scheduled for Saturday, March 31 on Congress Avenue that will celebrate the contributions from Tejanos in Texas's history and culture. To learn more about these events, visit http://nosotroslostejanos.com . About the Tejano Monument The Mission of the Tejano Monument is to emplace a monument on the Texas Capitol grounds to establish an enduring legacy that acknowledges and pays tribute to the contributions by Tejanos as permanent testimony of the Spanish-Mexican heritage that has influenced and is inherent in present-day Texas culture. 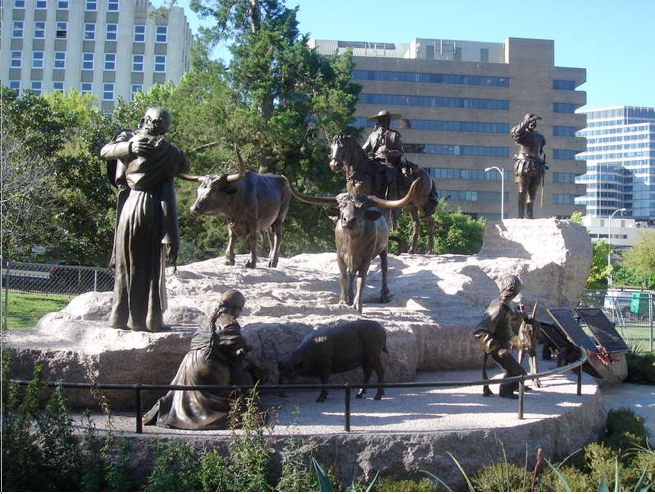 To learn more about the Tejano Monument and to make a donation visit http://www.tejanomonument.com.